Whether white wine is your safety zone, or red wine is more of your jam, we’ve got just the selection of regional bottles below that are sure to impress your in-laws at Thanksgiving Dinner. Armed with the right bottle of wine, there’s nothing you can’t handle this holiday season—i.e. bringing a solid bottle of vino to Thanksgiving Dinner is a surefire way to get in with the family. 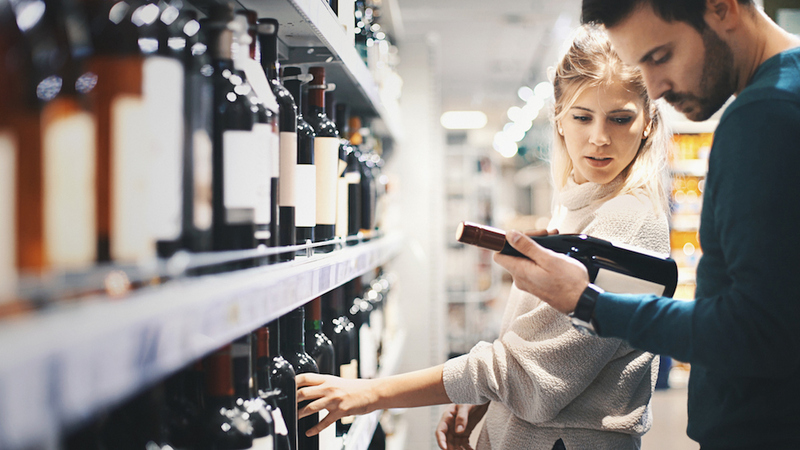 Whether white wine is your safety zone, or red wine is more of your jam, we’ve got just the selection of regional bottles below that are sure to impress your in-laws at Thanksgiving Dinner. Of all the wine regions in the world, Burgundy might just be the most impressive bottle to bring to Thanksgiving dinner. The region is basically to thank for the concept of terroir, showing consistently transparent senses of place through varietal bottlings of Pinot Noir and Chardonnay. Whether red wine is your go-to, or white wine tends to be your family’s crowd pleaser, we assure you when we say, you can’t go wrong with Burgundy. And if it’s not Burgundy, then it’s Bordeaux. Located on the opposite side of France, Bordeaux is home to some of the world’s most renowned chateaux, as well as the classified ‘growth’ system, which designates cream of the crop wines from village level sippers. Unlike Burgundy, Bordeaux is known for their world-class blends, dominated by Cabernet Sauvignon on the Left Bank, and Merlot on the Right Bank. For an impressive bottle, especially one with some age on it, we recommend checking out the Bordeaux section of your local wine shop. Don’t worry, Italian wine lovers—it’s not all about France. When it comes to Thanksgiving Dinner, Barolo is a key player. Comprised of varietal Nebbiolo, these wines ooze with flavors of rose petal, leather, and tar, showing gorgeous aromatics and bright acidity, which play beautifully off of nearly every dish on the Thanksgiving Day dinner table. For families with an affinity for Italy, you can’t go wrong with a great bottle of Barolo. For wine drinkers with a ‘bigger is better’ attitude, California’s Napa Valley is a no brainer. These full-bodied, powerhouse reds deliver bold flavors of dark fruit, tobacco, and sweet spice, pairing beautifully with heavier meats and side dishes that may find their way onto the Thanksgiving Day table. Best of all? The high tannins and bright acidity within these wines make them incredibly age-worthy, making them a perfect gift for in-laws looking to lay down a bottle for a few years. Although bringing a bottle of Vintage Port may not seem like the obvious red wine choice for Thanksgiving Day dinner, we can promise you that when the dessert course comes around, your bottle will be the star of the show. Vintage Ports, especially those with some age on it, evolve in an insanely complex fashion, developing textured layers of dried fruits, nuts, and caramel. Pair with a diverse table of desserts—or better yet, simply serve your bottle as the final course, doubling as both a dessert course and digestif. We’ve said it before and we’ll say it again—you can absolutely never go wrong with a bottle of bubbles, especially if they’re from Champagne. Sometimes, choosing between still red wine and white wine can seem a bit difficult in the moment; thankfully, Champagne is always a solid solution. The wine makes for a perfect pre-dinner aperitif, as well a pairs perfectly with an array of Thanksgiving dinner dishes, carrying your family’s meal all the way through the dessert course. If we were you, we’d probably grab multiple bottles here—a go-to move which is certain to impress the in-laws.